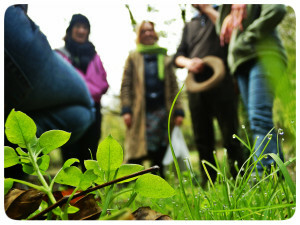 The Future of Food is a two year European learning partnership created to exchange practices related to sustainable and healthy food for planet and people. What is the future of food? is exactly what we are trying to find out, in an open and experiential way, focusing on the 4 fields of food and how they are present within the diversity of our partnership. We want to share this process with all of those who are interested and would like to contribute to our journey with their experience. Please share with us your vision on the future of food. We are five partners from different European countries. Each partner organization is represented by a coordinator who will publish on our site the different articles and products that are created with the partners networks. Contact one the partners if you want to find out anything more about their work and how you can get involved. We are five participating countries; Hungary, Netherlands, Spain, Germanyand Ireland. You can sign up to our English newsletter on the same website (http://fof.gaiaysofia.com) on the right site “SIGN UP TO OUR NEWSLETTER” with your email address. You can sign up to our Hungarian newsletter here.